One of the fastest growing segments in the digital camera market is compact, rugged cameras. Five years ago you had just two manufacturers selling waterproof cameras (Olympus and Pentax). In 2013, every major manufacturer is now producing at least one waterproof/rugged model. That makes choosing the right rugged camera a bit of challenge. To aid in your search, we recently tested six cameras in this class, and we'll summarize the results in this article. The contenders include the Canon PowerShot D20, Nikon Coolpix AW110, Olympus TG-2, Panasonic Lumix DMC-TS5/FT5, Pentax WG-3 GPS, and Sony Cyber-shot DSC-TX30. 3" 3" 3" 3" 3" 3.3"
As you can see, no camera has 'everything', but some come pretty close. 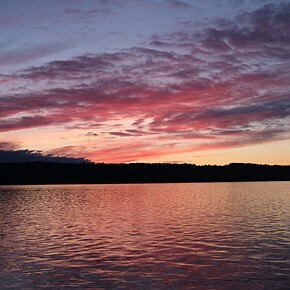 While none of the cameras really 'wowed' us, there are a couple worth considering. 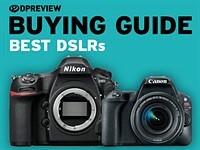 This article will give you a quick overview of each camera and how they performed, followed up by our final thoughts and recommendations. Head on to the next page to begin! Among the many comparative attributes, wouldn't you please like to mention is any of these support RAW format?? For me, its an essential feature, surely of higher interest than e.g. how many megapixels the sensor has. I even wish I could per cookie preference suppress news and display of any camera without RAW support. Be very wary of these tests. My experience is that i bought a Olympus TG2 afterreading many many reviews. The reality is I can not see virtually anything on the LCD screen when the sun is out. Have I missed something here? Thats when I use it. When I am at the beach (hot and sunny), Snorkelling (guess what hot and sunny). Admittedly it takes good photos but only by pointing in the vague direction and hoping. As to changing settings, well you cant unless you hide under a towel or something. I guess if these reviewers tell the truth the suppliers will shun them. My advice is don't buy any camera unless you go to a store and take it into the sunlight and see if it will function. My Olympus TG2 belongs in the bin. 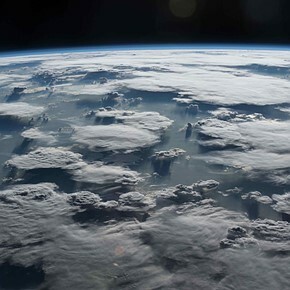 (Where it will take a great photo) It is of little practical value to me unless the sun is covered by storm clouds which is when I am usually at home inside my house. "While the TG-2's OLED display looks beautiful indoors, outdoor performance was lacking. It's nearly impossible to use in bright light, even with brightness cranked to the maximum setting. It was also very difficult to use when snorkeling." "While its OLED display looks great indoors, outdoor visibility is quite poor." "Overall, the Olympus TG-2 is a solid choice for outdoor enthusiasts or divers. Its biggest problem is undoubtedly the visibility of its OLED display, so be sure to try before you buy." "Its major flaw is the same as the Nikon's: the display is difficult to see outdoors." So yes, it seems that you have missed something here. Moral of the story: when you read reviews, really read them. I bought the waterproof Nikon Coopix about a year ago. It has gone on a family vacation, to the swimming pool and out surfing many times. It's photo quality is good but not nearly as good as my Cannon Rebel (not waterproof). My biggest frustration with the waterproof camera is holding it while swimming. I found a nice belt to help hold the camera at www.surfpouch.com. I, also, have no idea why my camera has a GPS . . .maybe I don't travel enough. I'm almost surprised you didn't test the Lumix TS25. It's half as much and when I did my comparison shopping, it was very similar to the rest of them. It doesn't have GPS, but I've never wanted or needed it. The price is a selling point but I was also looking for a camera with time lapse capabilities. This one filled the bill. Thanks for this roundup, it helped narrow down the choices for me. In regards to GPS tagged photo's, can anyone recommend an easy & free program that allows me to view the photo's GPS coordinates on a map? Does the program have the ability to input multiple photos at once (ie. an entire folder)? Thanks! I set the AW110 on easy automatic with flash and face detection mode and it gave me inconsistently overexposure. Sometimes it's under exposure as well but often it's extremely overexposure. It happened indoors and semi-outdoors. I have couple of Nikon pro DSLR and Lenses and I like it, so I thought Nikon would give better pocket camera too, but I was wrong. Oh, other thing I just notice is, it has vary strong glare mist on a bright light. 1.) When shooting video the sensor gets cropped reducing the wide angle effect. Yes, for taking photos it is 25mm (equiv.) but as soon as you hit the movie record button it changes to approx. 35mm. The widest angle you can get for video is about 35mm (equiv.) - not 25mm !! 2.) The camera does 60fps high speed shoot but it's only for 100 frames (about 1.5 s) at the time regardless of the memory card used. Would be interesting to know if the same behaviours apply to TG-2 or not? These features are so prominent I just cannot understand why they are not pointed out in the specs - not even in the unbiased reviews? This review REALLY highlights a frustration of mine, and one that has exsited since I bought my first rugged compact about 9-10 years ago (old 2mp Pentax shaped like a square box), which is: Why can't/won't any camera manufacturers make a rugged compact camera that is enthusiast grade? 4-5 years ago there were very few "high end" compact cameras. Now we have the Canon S100, G15, G1X, Lumix Lx7, Fuji X20, Oly XZ-2, etc... literally over a dozen compacts with manual control, good IQ, fast lenses (some), RAW, etc. There are many many serious photographers who are also outdoor enthusiasts that I believe would flock to a camera of this class that was ruggedized. I know I would pay $600-800 for one. Awesome roundup Jeff. Great to see your work over here and this kind of multi-camera review is so much more usable to so many more people than another $1000+ DSLR or Lens review that people will nit pick in the comments, but so few will actually purchase. I'd love to see a similar comparison article of some nice compact travel zooms. I recently recommended the Panasonic TZ15 to a good friend because every review of the TZ20 said that if I didn't need the GPS, and I don't, the TZ15 was a great choice. For the person I recommended it to, it was. But with two kids I need a camera of similar performance that don't start up in playback mode (the physical switch) which causes more missed pictures than you'd think. I have an aging Canon SX20 that I'd like to replace. I don't need 20x zoom, but greater than 10x. I want full 1080p30 HD and as good still images as I can get. And it has to slide into a belt pouch or pocket. Cost less than $500. Thanks for the comprehensive test, very helpful! I am still using my Canon D10 with good results, but thinking about an upgrade. One aspect you have not mentioned at all in the test was how well the lens coating works on the different cameras. Just back from 2 weeks of sailing/beach this was the maior issue I encountered every single day: the lens is always dirty. Either you have finger prints with sun tan lotion, or dust/dirt, or remaining (salt)water drops on the lens. Did you test how easy the water "rolls off" the lens, how scratch-proof the lens is, etc? Are there any differences between camera models at all - different glass or coating? @DPR: at your night scene comparison, Olympus was used at 25mm eq. So why the aperture is f/2.8 instead of f/2? We shot all of those using the camera's night scene feature. It chose F2.8 for reasons unknown to us. I have a few mediocre point and shoot cameras that are not water proof, and yet I often reach for my Olympus TG1 even when shooting in dry everyday conditions because the image quality is superior, especially in low light. Light is dim underwater, so a fast lens is essential there. Durable waterproof cameras are also great if you have kids because you can let your kids take pictures without worrying about damage, and you can clean their fingerprints off the lens in the sink with soap in water! Also great for the beach because with no external moving parts, you can leave it in the sand. @DPR: In the comparison table, you market Panasonic lens starting from f/3.3 as red, while leaving D20 and AW110 starting from f/3.9 unmarked. Long end is useless on both of them except in bright light, but at least on Pana you can zoom out for extra half a stop of light. Not cool. Excellent review! I loved the picture examples. I do not understand why DPR has limited this comparison to these 6 specific cameras. Indeed, there are a couple of other brands which have had excellent "tough" waterproof cameras as well, with same or better qualities as those here reviewed. 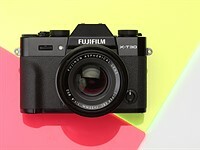 For instance, why is the Fujifilm XP60 (16 MP, 5 x zoom, 1/2.3" CMOS sensor with OIS, high speed shooting, HD movie) which was launched last January not reviewed? If DPR's review unilaterally omits specific cameras, then it cannot pretend to aim at guiding its readers towards the best products in the market. Ultimately it comes down to time. Each camera would add another week and push this review even later into summer. Maybe their resources are limited? I don't have the the time to read everything, so please excuse me if I'm repeating something, but how does the image quality of these 'tough' photoboxes compare to your average smart phone? In bright light they are about the same, maybe a little better, in lower light (indoors, underwater etc) Olympus TG-2 and Pentax WG-3/GPS are better than smartphones, while the rest are the same (Panasonic TS-5, Sony TX30) or worse (Canon D20, Nikon AW110). Same as my iPhone 4S. But has an optical zoom, video is awesome for my needs, no shutter lag, and I can take on the beach and in the water. So far 3m deep but soon a chance to take it down to the max 13m. I put my S4 Active into a fish tank and took a photo. No...wait...the Xperia Z is also waterproof, Z ultra? Also! I'm not sure about some of the Android phones, but I have an iPhone 5, and compared to my older Canon D10 waterproof, there is no comparison, the camera clearly blows the phone away in terms of IQ. An aspect which is not covered in the reviews is manual focus which is only available with the Pentax and the Olympus I think. These are travel cameras and the ability to lock the focus at infinity is important when shooting from an airplane or car window. I have the Olympus TG-2 & am amazed that DPreview omitted a v impt feature it has over all the other cameras, & perhaps any other camera in the world: an ultra macro mode that is unbelievable. It can take ultra macro shots of in excess of 14:1 ratio (to me it appears more like 25x magnification) in digital enhanced mode or 5:1 in optical mode. The digital enhanced mode is v good & really works well. It's truly a digital microscope camera. This blew me away & I admit this was the one feature that sold me on the camera. 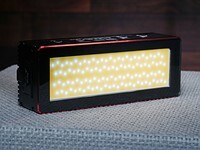 Also not mentioned is the fact that you can use the on board LED lamp to not only focus assist, but to illuminate & capture the subject (stills or video), & this is a real plus if you have ever tried to shoot macro. But the icing on the cake is that the TG-2 also can shoot using the Olympus wireless TTL flash system where the TG-2 acts as the commander for one or more remote slave flashes. This is a high end feature not found on compacts. Again great for macro shots! You are correct that we didn't discuss the super macro mode. We did, however, cover the LED illuminator in the full TG-2 review, and the wireless flash was in both the concise and full reviews. Not good for: Frequent shooting in bright light"
I would guess that skiers/boarders are frequently in bright light due to snow they are skiing on...not only in sunny days. Great series DPR. Am looking for exactly this type of camera. Thanks. 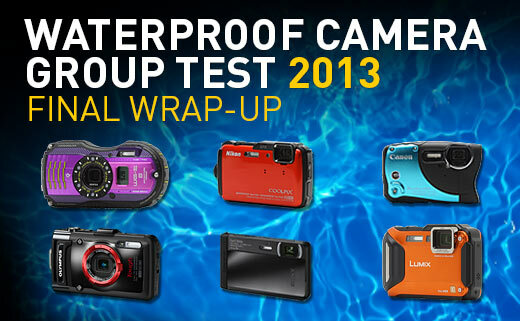 4 weeks left to summer and now we get a review of waterproof cameras...oofah. But it's not just DPR that catches my discontent here, I've been keeping an eye out for these releases since before springtime and the manufacturers have been clearly asleep with getting their summer gear on the shelves early enough for their customers to compare, decide and shop. So, we should act surprised that their P&S market-share has been evaporating? I had purchased shorts, swim trunks and a new pair of sandals by the time the calendar said "Spring" and all that was to be found in waterproof cameraland was last years rehashes. Well, it looks like just another rehash for 2013 anyways, glad I didn't spend my cash. Time to shop for a waterproof housing for a camera that can, at least, take a decent picture. Maybe DPR are targeting consumers in the Southern Hemisphere? Heck many schools have already started and summer vacation season is all but over. I too wanted to buy a waterproof P&S but in the end DPR's delayed results publication convinced me to just use my GO Pro with an underwater housing for my trip to Alaska where I did a day of Snorkeling in Ketchikan. Half of the world is now heading into summer! The world does not begin and end in the Northern Hemisphere thankfully! Great article , just what I am looking for to make a decisions. I was on a Cornish beach recently and a young lifeguard/surfer dude took an interest in my waterproof camera, a Canon Sureshot A1 35mm camera that I was using while swimming with the kids - £5 on ebay and takes cracking pictures. He asked me if it floats - "of course" I said. Why wouldn't a waterproof camera designed for this sort of thing not float? Apparently the digital equivalents don't. How hard would it be to incorporate buoyancy into these cameras? Just a thought .. sounds like the surfing community would be a guaranteed market. The floating camera would present a problem to a diver. If let go, it would float up out of reach, and divers can't always go up fast to grab it - it could compromise their diving profile, and maybe cause problems. The cameras in pressure housings are usually floating, and the problem is solved by inner weight piece to keep them as close to the neutral buoyancy as possible (less weight for sweetwater, more for saltwater). The housing for Sony T7 had a bobber for that purpose. The amphibious cameras used in swimming and snorkeling usually employ a floating wrist strap (made like a pocket with some piece of closed-cell type spongy material). If the camera is used in diving, the floating elements must not be compressible. The best material for buoyancy are fishing net floaters, which are impervious to pressure deformations to a depth of several hundred meters. Creating a wrist strap from those is easy, and one can adjust the buoyancy by adding or removing larger or smaller floats. Used Nikon and Canon as there the only brands I trust. Canon out preformed the Nikon for me. But as always each to there own. If the camera is the "host", it works pretty well. Getting it to connect to a PC or using NFC is very frustrating. The whole interface is clunky, IMHO. The Pentax WG-3 is the only one that has built-in time-lapse mode, and a separate, very compact remote wireless remote (accessory item). The reach of the remote is only a few feet, however. Other cameras allow use of a cellphone as a remote but that is not practical for a rugged outdoor camera. Spare batteries are small. lightweight, and cheap--I got five, and charge in relatively short time. That makes the limited battery stamina less of an issue. Picture quality is good, much improved over the older WG-1. Macro-mode with ring light works well. Two downsides: you have to find your own fitting case if you want one. External battery charger is extra (the one from the WG-1 works). Need to turn off GPS function when not in use because it consumes the battery in a few hours even with camera off. This can be done with about 3 menu selections fairly quickly.GPS finds location quickly (few seconds) when turned back on. Overall, very satisfied. 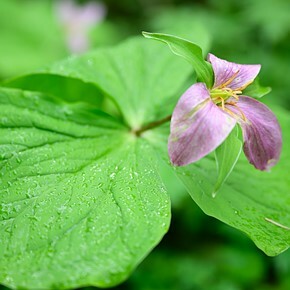 I use Canon DSLRs as other main cameras. Too bad that rugged seems to translate into toddler toy look with all but the Sony which in turn can't be used for its intended purpose. What are they thinking? I use the sony (older tx10) and it works great. The only thing is that you cannot change settings under water - but there is nothing much you need to change anyway. The camera works best in its automatic mode. As soon as you get out of water the touch screen works even if it is wet. My TS5 controls are just fine even underwater in a 2m deep pool. The screen is bright and easy to see even on a sunny beach. I own two OLD Pentax cameras that I passed on to my children - a 6mpx W10 (still Pentax) and a 10mpx W60 (Hoya). Rain, pool or normal conditions - fairly Ok images. Given that both are compacts with massive shutter delay, but I have taken some wonderful images with both due to their unobtrusive and portable size. As I'm not in the pool all the time I currently carry around a Canon G11. I have looked at the newer rugged options - evaluated, read reports, even went hands-on in stores. With this last step is where the wheels come off for the new cameras. Operation is a pain, reliability is terrible, buttons are low quality and don't respond (before we even leave the store). My $$ stay firmly in my wallet. In another headline a few days back, CIPA were noting a massive drop in sales. Well, if you make bad quality nobody will buy. Word gets around. I have the W10, too, and while IQ isn't the greatest, especially at the tele end of the zoom range, it's been a very reliable camera (6 years now, and I only changed sealings once, 4 years ago). I really prefer its unobtrusive design to the current models - I'm not going to replace this camera before there is a larger-sensor alternative with significantly better IQ (or if it won't survive the next beach holiday)! I have an old Pentax tough camera that I bought for a trip to Hawaii a number of years ago. Pictures are not that great, but I can take them underwater. I can take pictures while kayaking in the ocean where the camera is certain to get wet. I can throw it in my pocket and go places that a larger or less resistant camera wouldn't survive. Works just fine for me. Would I use it for pictures that need great quality? No. Then, that's not what I bought it for. It works great for what I did buy it for. When this one wears out, I'll get another tough camera. Because sometimes the world is a tough place for a camera to be. That's the spirit. The newer isn't necessarily better, as recently proven by the comparison between Canon D10 and D20 which only has better video specs. If you're happy with the images you get, that should be sufficient. It is a tough job to build a camera that is equally able to take underwater and dry-land photos, mainly because of the flat ports which are added lens elements that can't be avoided. This reduces the quality of the wide end of its zoom, and is also a reason the zoom range of such cameras is usually short. 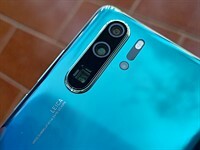 To have a camera which performs well in both mediums, its port would have to be built as a part of the optical system, and not merely as a water-resistant window. Current amphibious cameras are a compromise. Any manufacturer who envisions a properly built amphibious camera should offer a body that is strong enough for usual diving depths, (-50m), and also a range of lenses for various conditions and purposes. It would be way better than those semi-solutions they offer now. These "tough" models can get wet - but not a single one is good enough to dive with, excepting sub-surface work, and some risky apnea. Instead, they are pocketable. Which really isn't important - to a photographer. Couldn't Nikon have brought forth Nikonos for the digital age. Yes, that would be a general idea, since they already have two excellent models to build with; the Nikonos III and V. And those could be made around full-frame sensor with no problems at all. A welcome idea would be a powerful zoom in the casing of their UW Nikkor 80mm, to be used both above and underwater. 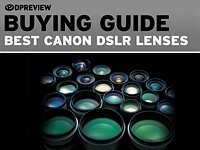 The rest of the lens range is excellent the way they are. "Any manufacturer who envisions a properly built amphibious camera should offer a body that is strong enough for usual diving depths, (-50m)"
The depths like this need strong light which tiny batteries in compacts cannot provide. It would be a totally different class of camera, in size, weight and price, and unusable as beach and snow cam. If you go for big size and weight and price, it is better just to use housing. No company I know of sells an indoor camera. The claim of the camera maker should be taken into consideration. If the finder/LCD can only be seen indoors that should disqualify the camera from consideration, any camera. If the camera which claims to be an underwater camera cannot be controlled or even an image framed in the LCD underwater it should be disqualified from consideration as an underwater camera. I don't think 2 or 3 point differences cut it in this consideration. Don't rate them as overall cameras, but as what they are marketed as: tough, outdoor, underwater cameras. How in the world can a camera with an unusable OLED as the only way to see what you are taking outdoors be rated the number one outdoor camera? Most sold Android phones (Samsung) have OLED screens and are used outdoors every day by tens of millions of people. My wife and I have lived on a sailboat full time for 4 years, so a "Tough" waterproof camera is a must. We have the older Olympus TG-820, although the image quality and underwater colors are quite good for for this style of camera the "tough" part of it didn't match up. Even though we rinsed it off after each use I regret to say that the zoom in and zoom out "toggle switch" stopped working after a few swims. It was still under warranty but that doesn't do you any good when you are already on your journey into Mexico. Hopefully Olympus will help us out when we get back. 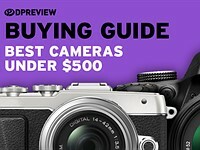 The best thing about Jeff Keller joining the staff at Dpreview is that Dpreview is now doing a much better job at reviewing more modest cameras. Dcresourse.com always did a great job testing the cameras that were overlooked by everyone else. By adding Jeff to the staff here, Dpreview has become a better website. The Nikon apply more default sharpening, giving the impression of more detail. ..it's so much more than just limiting the choice to simply IQ. You have to base your decision on the complete list of pluses and minuses. I did my home work and read everything and every review I could find on all the cameras listed. Unable to actually get my hands on any of the cameras (Annapolis Md has no brick and mortar camera stores anywhere worth going into) I had to rely on others input. My choice was for the Olympus. They have been making weatherproof cameras for many years. That was enough for me. Adding the fast 2.0 lens was second. Third was the ability of adding a conversion adapter, where I could easily add a ND filter if needed and a skylight filter to save the lens from damage. And lastly Oly sells a silicone cover to protect the camera body for $20.00 US. Granted this isn't going to be a waterproof/ weatherproof RX 100 people. You have to expect compromises and trade-offs for the advantage of having a pocket camera that can take reasonable harsh treatment. Those "Real World Comparison" shots are really useful. You should use this comparator for all camera types, not just rugged cameras. Reading through the comments below, I see some questioning the point of these cameras. Personally, the tough cameras are some of my favourite cameras. When I go to the beach, or canoeing, or a water park, or skiing, or if it rains, or if I just want to travel light especially on vacation I'll usually put my dSLR away and take my waterproof camera in my pocket just in case I want to take a picture. If I capture a handful of memorable moments for the family album, I'm thrilled! PS. Nice article. As for the timing . . . It's always summer somewhere! These cameras are also a good choice for young children, who are famous for breaking anything remotely fragile. "These cameras are also a good choice for young children, who are famous for breaking anything remotely fragile." Funny you should say that. My youngest (5 years old) uses our Olympus 850sw. And my buddy has been letting his kids use his Olympus 850sw for years. Although I think he might think twice about letting the kids use his brand new Olympus TG-830 that he just got yesterday. At least until he gets it scratched up himself first. These are all special use and supplemental cameras which should be viewed that way. If you have a nice DSLR (perhaps weather resistant) or a nice MILC, how much do you really want to spend on another camera for use in environments that are risky enough that you wouldn't use your better camera? Sure, there might be a handful of people who want high IQ but it's quite small compared to those who want both affordability and peace of mind around using any camera where it *could* be damaged. Maybe the better way to rank these cameras is around various types of special uses. Which are the best underwater? Which are the best for rock climbing, etc? Almost every one of these cameras will be purchased with one of those special needs in mind. Why is there no rugged XZ-1? Why is there no rugged S110? Why no rugged LX7, or GR or anything with decent image quality? I really don't understand this camera not existing. Surely there are enough photographers looking for something they can take somewhere there is water around, or their camera might get knocked, or the environment is otherwise not camera friendly but where they want to be able to get quality shots? 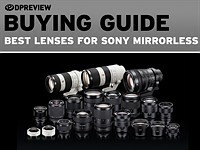 Is a quality lens inherently and inevitably breakable? And if yes, why doesn't someone just come out and SAY THAT? All the cameras you mentioned have lenses that extend from the body when powered on. It is not possible to waterproof such a design (and since it stick out of the front, it would be vunerable to knocks). All these toughened cameras use folding optics - there is a right angle prism just behind the front element, so the whole lens stays inside the body. However, that doesn't stop anyone making a tough camera with a 1/1.7" sensor, as used in the XZ-1 and S110. It does make a lot of sense, combining the water/shockproofing of these with the better image quality. No Smartphone could get anywhere near such a camera. "All the cameras you mentioned have lenses that extend from the body when powered on." Yep, I realise that, it was more for an indication of IQ level than body style. I could have said X100 (as it's lens doesn't extend, well a tiny bit), but that's a class up. Or RX100 (who's lens extends, I know). Thinking enthusiast+ level sensor size (1/1.6, 1"), RAW, manual control, sensible size, quality lens, decent corner to corner, good colour, etc. My question is more along the lines of - can you not do quality folding optics? Is it just not possible? No-one has as yet, so maybe it's just not doable? Is it just because it would tick too many boxes, and last too long? Not enough built-in obsolescence? ..I have the Olympus TG-2 and I love what it does and how it handles. My first waterproof camera set-up was the Canon PowerShot ELPH 310 HS and the Ikelite underwater case. Camera was $200.00 and the housing was $250.00. Take it anywhere, shoot anywhere. A tad large but for the small sensor size, takes excellent vids and decent printable snaps. It really doesn't make sense. Think what folks spent on travel adventures (skiing, backpacking, sailing, white-water rafting, etc.). There must be a market for a "tough" camera with the image quality of the enthusiast compact. And if folded-optics it must be, get cracking on it and improve the mode. Fuji, Sigma, Samsung, Olympus to a certain extent. Not many thinking outside the box. But it does not have to be folded optics; there are ways to build a casing for linear optics as well, only it wouldn't be "pocketable" - at least not suitable for shirt or jeans pockets. But jacket pockets they'd fit just fine. Moreover, the redesign of the casing lines would get rid of too many flat surfaces, which determine the limits of water pressure resistance. Flat surfaces bend inwards, while conically shaped case would stand a lot more pressure with the same material thickness / weight. Next up Superzoom roundup. Care to do it DPR? DP - please get these reviews out sooner next time. If I want a tough camera like this I probably want it for summer holidays & so I have already bought one before your review comes out. Yes, we agree with that. Started it about two months too late. There's always next year! ..if I'm not mistaken, these same cameras were reviewed in WDC magazine about 6 weeks ago,.. but still the timing for this collection should have been out by mid-June at the latest,..
Late because you've wasted so much time reviewing/featuring worthless smartphones and lousy apps and joke projects about mobile photography. Too many GearShop and Amazon links! This page is mostly Ads... C'mon DPR, relax a little and leave the selling to Amazon. We don't like all those buy boxes either. We're hoping our developers can come up with something better than a huge list. How many more times needs this be said? It makes no sense to compare 35mm-equivalent focals and not compare 35mm-equivalent apertures. Sensor size is not even mentioned in the table, so it is impossible to draw own conclusions. Even if all cameras share one size, this should have been said. Small sensored camera's like these are known to have deep DOF. When comparing exposure , it's the same. My FZ200 exposes the same as my GH2 did. Sensor size is different, but not exposure for given aperture. Wouldn't it be a bolder editorial stance to not give awards when basically none of the cameras seem to take good pictures and all have fitness for purpose flaws - displays that cannot be viewed outdoors, poor battery life, badly thought out controls etc? Good point! However, if someone is in the market for a rugged compact, you can only recommend one of the existing cameras. Best in class isn't necessarily good, it just have to be better than its rivals. Those 3 they recommend are indeed the best of the rugged bunch. And they take a very reasonable images in bad situations. You simply do not understand the physics of shooting underwater. The water changes the physics. A lens used underwater must be optimised for underwater shooting and focussing. You cannot optimise a lens so it works equally as well underwater and in air. So every one of these style cameras work better either in air or in the water. But none of them can work great in both environments. Against these, I would probably opt for a water proof cellphone. If your cellphone could make toast, you would probably prefer it over your toaster. My cellphone makes toast but only underwater. "We round up the best rugged cameras of 2013" - and you picked the one with the lowest build quality as the winner? And not the best IQ. Just taken these images with the TG-2. Don't think IQ is that bad. 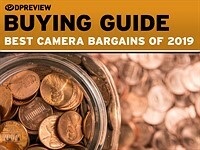 Anyone who buys any of these cameras from any of the links on this page must really hate money. You are in wrong company then. Those tested cameras here are not for professional sports or anything beyond pure amateur pics and mostly for families to take with them to a beach. A professional can easily take his favorite and trusty equipment and buy a marine case for it. There are marine cases for nearly every camera imaginable. To LaFonte. Here we go yet again...... I don't know why so many commentators seem to offer the suggestion of a high grade pro camera (usually a DSLR) in a housing as the only alternative to these little 'tough cameras'. Quite apart from the expense of a DSLR housing, you can't conveniently dangle a D4 in a housing off your climbing harness, stuff it in your life jacket or drag it through a cave. Nor can you use all of them one handed. They're huge! What we NEED is the missing middle ground. Something like a digital equivalent of the old Nikonos. Yes it wasn't a light weight camera or cheap, but it was simply the absolute best at what it did. There are many here who'd pay for something like that again today. One problem is that no-one makes one. The second problem is that no-one is listening! I'm glad to see there's no "gold award". even silver is pushing it. I own a TS3 - the last roundup's recommendation - and I'm far from being pleased with the picture quality... and they're still doing the stupid megapixel race, making the photosites even smaller and lowering IQ... it's like they're desperate and don't know what to do anymore. It's a pity though, that you have to choose between low light, bright light, underwater, etc... I mean... it sounds like: here's a list of features, now choose one. you only get one. that's it. We've just posted our review of the Pentax WG-3 GPS. This uniquely shaped camera can handle whatever nature throws at you, and the fast lens (at wide-angle) doesn't hurt, either. There's one more review left in our waterproof camera series, followed by a wrap-up article that will help you pick the best one. In the meantime, you can read more about the WG-3 GPS after the link. 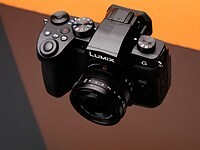 We've just posted our review of the Panasonic Lumix DMX-TS5/FT5. In the latest of our series of reviews of this year's crop of waterproof tough compacts we've put the TS5 through our usual studio and real-world tests to get a feel for how well it performs. On paper, the 16MP TS5 is one of the best specified cameras of its type, offering built-in GPS, Wi-Fi and NFC (near field communication) inside a tough body and Leica-branded lens. Does it live up to expectations? Read our review to find out. We've completed the third in our series of underwater/rugged camera reviews, this time covering the Nikon Coolpix AW110. This camera is loaded with features, including a GPS system with maps and landmarks, plus Wi-Fi that gives the ability to control the camera from your smartphone. Click the link to read the review, and don't forget that we'll be comparing all six cameras in a few weeks.